We believe that you are the experts in your field. IT may not be your core activity. We can help you save on time, effort, manpower, operating costs and training costs among others. From development and deployment to migration and re-engineering, we can help you optimize your It to align to business strategies and enhance your organization’s performance. Enhance your business strategy, align technology and build processes to achieve strategic goals, helping you control costs, driving revenue, cultivating growth, and increasing the market value with AsterDream’s Consulting. You save on investing in the latest technology, software and infrastructure as we would be investing in these. Out Sourcing helps you focus on your core business. Outsourcing is now a key strategy for achieving ultimate performance. 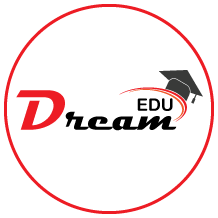 DreamEDU is a complete school management solution which unlike any other such solutions focuses on the essential needs of a school and the pain areas of their day-to-day operations. Its unique automation techniques, which are evolved through a long phase of understanding the school operations in depth and coming up as a very useful product for educational domain and as its clients describe it a ‘No-Nonsense product’. 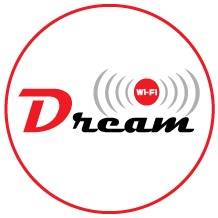 Dream Wi-Fi is one of the complete WiFi solutions for Restaurant or Café, Hotels, Resorts, Building/Societies/colonies, SME and Corporate. Be it Wired or wireless network. We also provide cloud hosted Hotspot. Travelling often for work or your business requires you to make international calls to clients? BrilVoice takes away your phone and connectivity woes. With just one BrilVoice Calling Card account and no roaming charges, make international calls everywhere with 80-90% savings on call rates. High call quality at low rates and online account purchase with top-up options makes it an unbeatable choice.